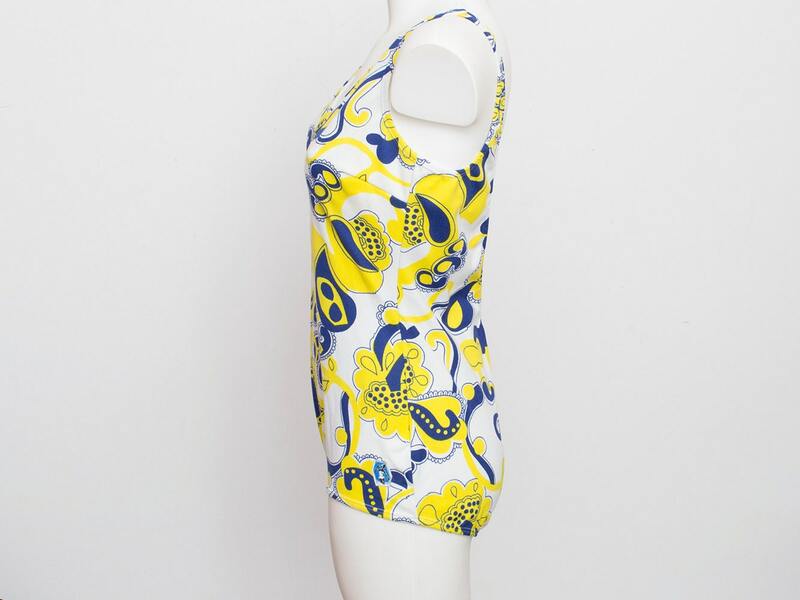 Dead Stock Vintage swimmsuit in white navy blue and yellow. not lined. Just a small lining in the crotch. It has a stain see the last photo. Also shows some slight blue transfered color in the white parts. Measures liying flat, Please have in mind the lenght.